Through the Parenting Education program, parents transform their homes into lifelong learning laboratories and become their child’s first teachers starting from birth. Participants attend classes during our 9-month annual school calendar. To graduate they have to complete 150 hour evidence-based parenting program. Parents receive instructional time in toy making, listen to community speakers and participate in interactive literacy activities and home visits. Toy making teaches parents how to have fun and establish an educational connection with their children. It also helps the participants to connect with each other. During our third hour of programming, community partners from other non-profit agencies are invited to provide our participants with information about the services that are found within their community. 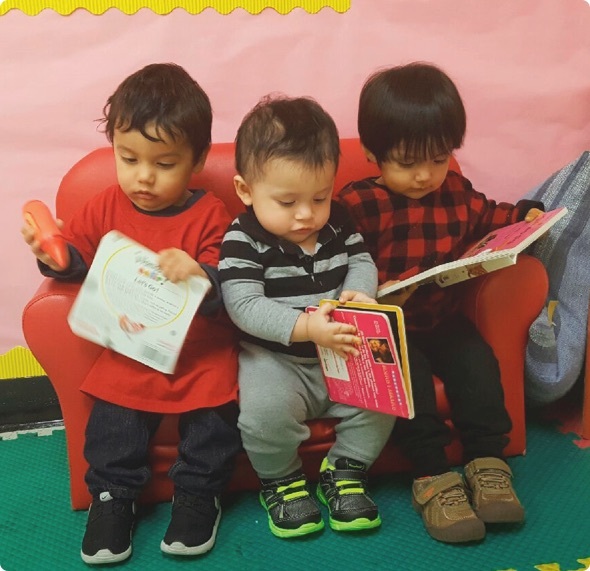 Parents and children meet for an activity that allows the growth of bonding and literacy through a fun project based on books that stimulate the vocabulary acquisition and inspire the love of reading and learning for both generations. Specialized visitors provide comments and assistance to enrolled parents on how to better interact with their children. All participants receive six home visits per year. 150 hours of instruction provided by early childhood teachers that follow an evidence-based curriculum. The foundation that children need from birth to 3 years of age that prepares them to succeed in school. The classrooms are divided by age: babies, small children and preschool. Within each group, children can explore and learn through thematic centers. Adriana Paniagua, AVANCE graduate and currently working as an AVANCE Parent-Teacher Educator. Joel is a student at the University of North Texas.